Each year, Let's Play Hockey recognizes several awards in hockey. Youth, high school and college players receive various awards and this section celebrates the winners. Click on each award to see who has won the latest honors and who the leading candidates or finalists are during the season. 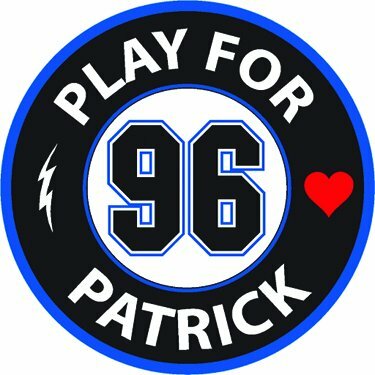 The Patrick Schoonover Award is awarded in honor of Patrick Schoonover who passed away while playing in a hockey game for the Eastview Bantam AA team on Nov. 14, 2014. The award is given to the Minnesota PeeWee or Bantam hockey player who best exemplifies Patrick’s ideals of hard work, high character, loyalty, honesty, humor and athletic achievement. A trio of high school hockey awards are presented each February and March. The Ms. Hockey Award is given to the most outstanding senior girls' high school hockey player in Minnesota, while the Senior Goalie of the Year Award honors the state's top girls' hockey netminder. The Reed Larson Award goes to the most outstanding senior defenseman in Minnesota boys' high school hockey. In college hockey, the Mike Richter Award is presented to the most outstanding goaltender in NCAA Division I men's hockey. Finally, the Kobe Sportswear Hat Trick/Playmaker Wall is for youth players who have recorded hat tricks or 3 assists during a game. Goaltenders are recognized with the Carroll Goalie School/Brian's Shutout Wall for goalies who delivered a shutout for their team.